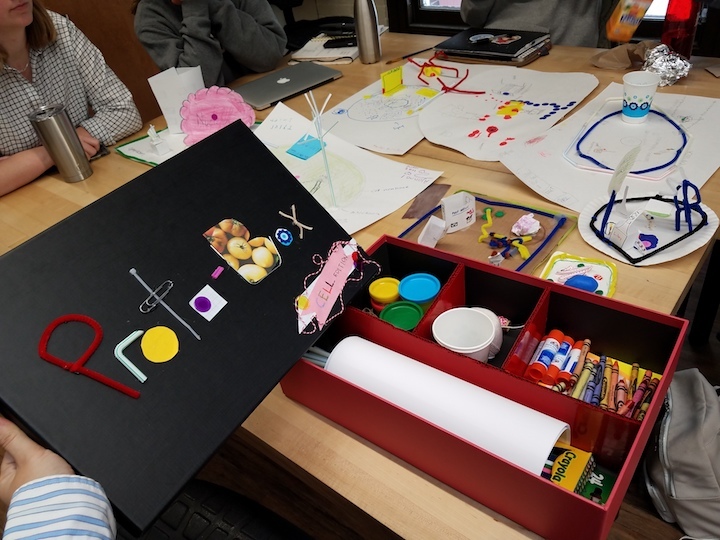 The final Protobox includes necessary supplies along with directions about the topic it is optimized for. 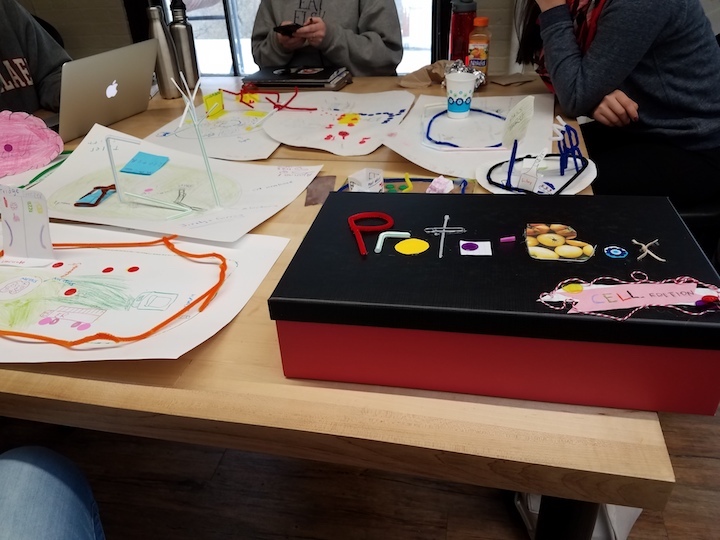 Our final was a Cell Edition Protobox with supplies such as cell shaped cut outs and labels for the various organelles. A prompt and checklist are also enclosed for the activity. Ideally, these boxes would be made and used in an educational setting. Each student or student group would create a box to use as a way to act out and develop models for other topics within the classroom.